« Dean Devlin previews the LEVERAGE finale! I promised myself that I was not going to watch AMERICAN IDOL this season (as I do every year), and yet, here I am, excited about the top 24! What about you? Are you dying to know who is in? 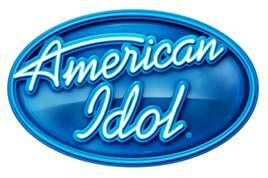 Follow the jump for video of the Top 12 girls and Top 12 guys at their official AMERICAN IDOL photoshoot! What do you guys think – who is your front runner going into the first live week? *There was wide speculation that Mike’s dad had given a news story that he was in the top 24, thus getting him disqualified, but it looks by all accounts like he’s in! **Tim was the only person not featured with a “you’re in/you’re out” moment on last night’s show, leading many who saw the widely circulated list of Top 24 Spoilers to wonder if he was a replacement last minute for the highly touted Chris Golightly – unsure if he was the DQ, or if he had to drop out for some other reason!